This research work highlighted the background definition of database and database management system. It presents the need for a database in any ideal establishment including the effective control and management of information by appropriate software programs, in terms of the use of database management system is the cornerstone of management in any Endeavour. This work recommends possible ways of implementation, highlighting changeover technique use. A program was designed to show the possibility of incorporating database in secondary school system. Underdeveloped and develop countries have suffered a lot from the consequence of insufficient data or information, in most; consist a matter of the inaudibility of data. The secret of any good management is based on organized, coordinated and sufficient relevant data. This fact support the ideal of database whose overriding importance is to provide relevant and sufficient data or information to the user. According to French (2000),users earnestly desire far piece of information which would be of immense benefit to them in their business this therefore, buttress the fact that a database in any organization or establishment is very essential to the organization. In a database, data may be stored in which it may involve a data directly which it will provide descriptive information on the data them stored in the database and how to access them. The term database is often used synonymous of information. A database is generally made up of data from number of database it could be a collection of related information. According to Brien James A (2000). The control and management system (DBMS)> this software (set of instrument that tell the computer what to do) is designed for record keeping, allows the computers to sort files of records in specific location. They spatially handle structural data that would normally be stored in a cabinet containing files. The concept of database means something specific. The data collected must posses certain qualities, the essential requirement of a database is no merely to store data efficiently but also to provide an effective means of retrieval. The objective is to provide a reliable up to data information on demand. The centralization of it cannot be retrieved more efficiently than others then the data structure of a business may be rationalized. Data can be retrieved without for the fact that base is in logical section. 1.2 BACKGROUND OF THE STUDY. The researcher study centered on the administrative admissions and information management department. This project “software development for post primary education database” is geared towards the needs and level of adolescent. The main objective of this project is to implement the use of database management software on graduate on secondary school student who are academically competent, constructively self-directed and who are oriented towards becoming productive, intelligent, sensitive and matured citizens of this country Nigeria. Many government organizations and establishment as well as some private establishment management and preservation and this has seen a set back to them. For example hospitals, school, industries and banks. Slight delay in the processing of record due to growing size and complexity of the establishment. Time consumed and wasted in the retrieval of requirement file or records. Lost of records in transit during a search process. The method of updating files makes the while exercise being and cumbersome. Necessary to maintain an international standard. On the one hand, the primary obligations of this study is to investigate and design a computer based operation system in replacement of the present manual system of operating in by inculcating the efficiency of database to information management and data processing in areas of data upkeep, retrieval validation, storing, updating and verification. Speeding up the processing storing and retrieval of information. Improve decision making by reducing processing time as well as reducing communication gap between the staff and the public. To highlight the importance of database as regards information keeping. 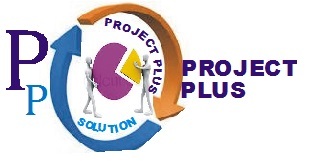 Bring about implementation on the manual rendering service and administration. This research work critically explores the possible ways of creating a database application, that will be used in the institution and create a reliable information base system for the schools. The work will also help to reduce thee paper flow in the offices. As a result of limited time and many) the study was based on the application of computer based system. Finance: the high cost of using type electronic typewriter for the type of the project was quite demanding. The cost of getting the software’s that are needed to develop the database was many and expensive. The transportation fare in the quest for data was also a source of concern. DATABASE: it is a collection of related information it is made up of data from a number of database. System: it is an assemblage of interrelated elements, which we find interesting to study. It could be a process, a machine or a program. DATABASE MANAGEMENT SYSTEM (DBMS): is the software that permits an organization to centralize data, manage them efficiency, and provide. Access to the stored data by application programs. SOFTWARE:A software can be defined as a written application used to perform a specific task.